Turning pens on a lathe can be one a most satisfying parts of wood turning. Within a very short space of time you can convert a block of wood or an acrylic blank into a stunning writing pen . But what exactly do you need to produce quality turned pens? The most expensive piece of kit you will need to buy. 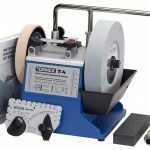 A lathe is an essential item but don’t despair – you don’t have to break the bank to get one. The range of prices for a lathe is huge and fortunately for pen turning you don’t need an expensive lathe to turn out great pens. 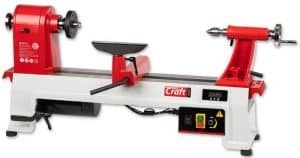 A bench top craft lathe will do the job and there are plenty to choose from. 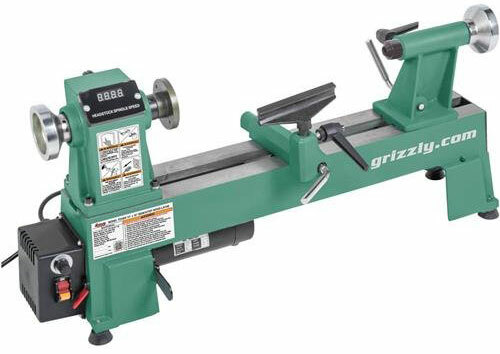 My pick for a really good bench top lathe is the Grizzly T25926-10″ x 18″ Variable-Speed Wood Lathe. Grizzly has a very good name, is well built and is perfect for turning pens. Two things to consider when buying a lathe – variable speed with a digital readout and don’t go for the smallest option. What I mean by that is allow yourself to turn bigger items. 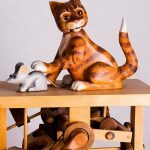 This Grizzly lathe will allow you to turn other items such as small bowls up to 10″ in diameter which is a great way to venture into other wood turning projects on a smaller scale. the lathe is 17 x 32.5 x 12 inches and weighs in at 74lbs. A pen mandril holds together the pen blanks that you are turning and the bushing sets and any other spacers. 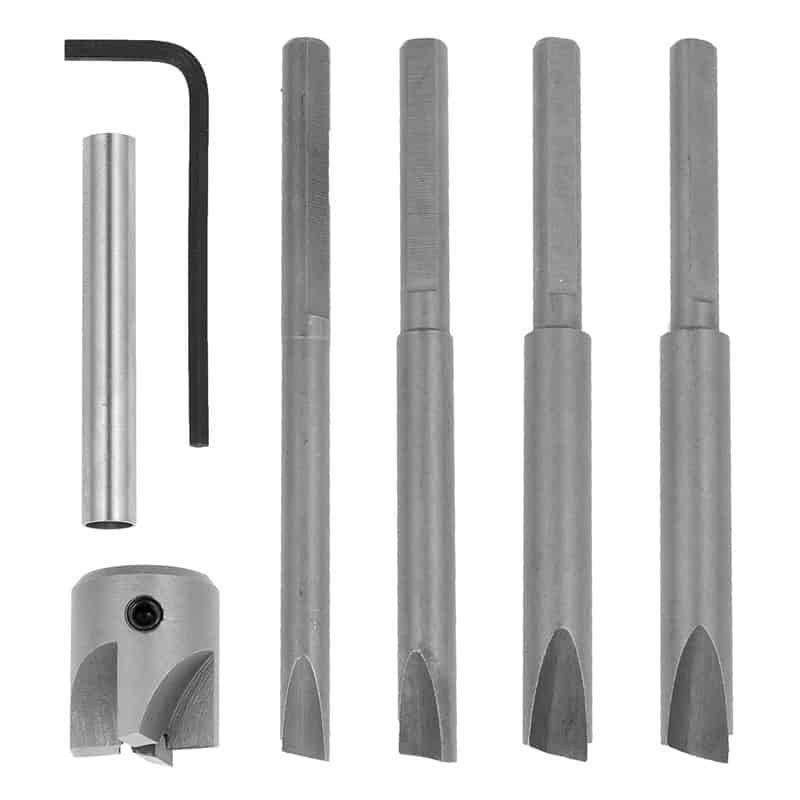 The PSI Woodworking Pen Mandrel Saver Package is an excellent set which is easy to attach and remove from the lathe and quick and easy to set up with the pen blanks ready for turning. Basically it is in two parts which slot/fit into the headstock and tailstock without having to use any other tools to attach them. Removing is also very easy with the knockout bar (which comes with the lathe) from the head stock and retracting the tailstock – both done in seconds. Attach to the headstock jaws to hold pen blanks in place for drilling. If you use a different method of drilling the pen blanks you don’t need to get a set of pen jaws. However, the alternative is possibly more expensive and less accurate. 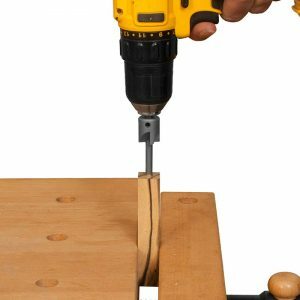 The PSI Woodworking CJAWPEN Pen Blank Drilling Jaws is a highly rated product and is a compatible fit with the Nova 4111 headstock chuck jaws (shown below). The jaws open to 2″ which is ample for pen blanks which are generally 1″ square profile. When buying pen jaws and headstock chuck jaws always check that they are compatible as there are often variations between different brands in screw positioning and depth. Headstock chuck jaws attach to the headstock via a screw thread and are the base plate for attaching other tools such as pen jaws. They are also essential for other projects such as bowl turning. The Nova 48111 midi wood turning chuck is ideal for both small and medium wood turning projects and again has a high customer rating. 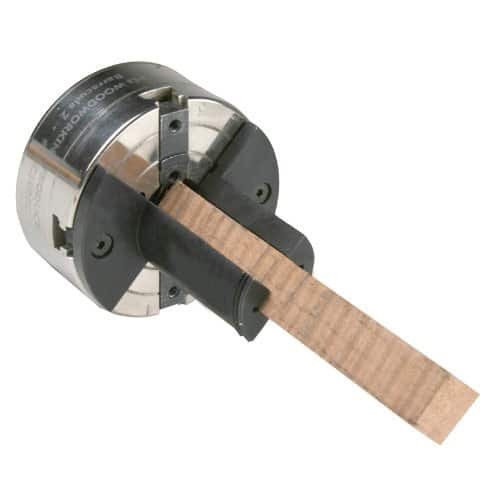 A drill chuck attaches generally to the tail stock and drills for pen blanks are attached. This is by far the best option (in my opinion) for making accurate drilling through each section of pen blank prior to glueing the pen ferrules in place. The Einstein Tool Co. 1/2″ JT33 Drill Chuck shown below is perfect for the job and comes with an extra chuck key. You could use a drill stand to drill the pen blanks but I have recently found on an Axminster pen turning course that drilling on the lathe is more accurate, takes up no additional space and is far cheaper to set up. A stand is not essential but i would advise you to get one is you have the space as it makes the lathe absolutely rock solid and frees up worktop space. 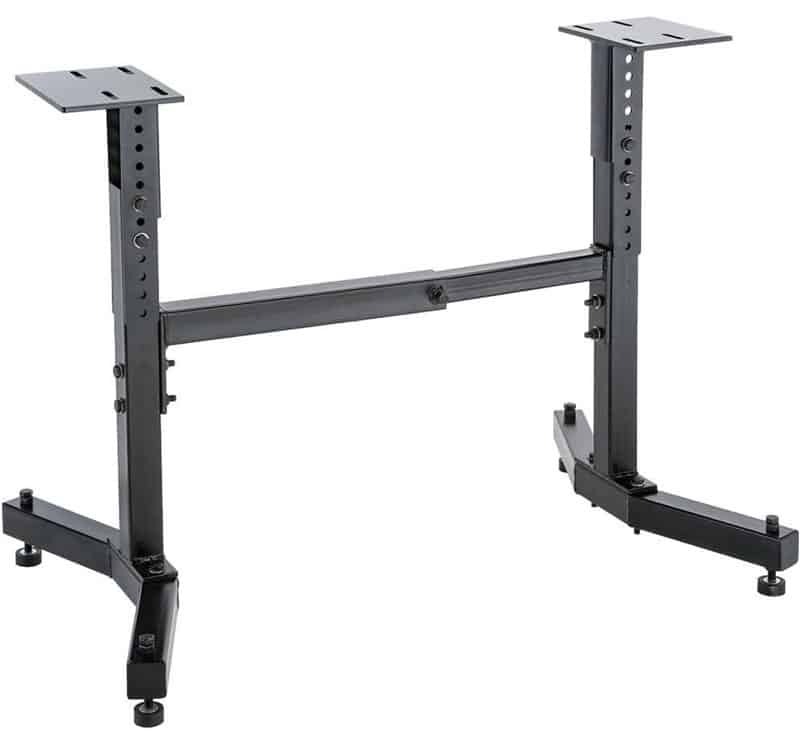 If you cannot afford the additional cost or the space I would advise you to physically attach the work bench to a wall to minimise movement. I use the Shop Fox Heavy Duty lathe stand shown below. It too less that 10 minutes to assemble and is rock solid. For pen turning you really only need a couple of wood turning chisels to turn out quality pens. However, I found it more economic to buy a set which have me more flexibility to do other projects. The essential chisels are a roughing gouge and a skew chisel and I would advise you to get the best quality you can afford. 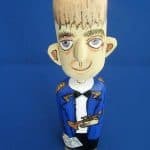 The 1/4″ parting tool is great for adding decorative lines to the main barrel of the pen and the round nosed scraper can be used to get a fine finish before sanding. When you have glued the brass pen ferrule into the pen blank you are about to turn you will need to ensure that each end is flat and flush to each end of the brass ferrule. 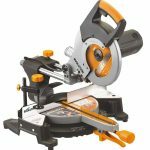 To achieve this you either need to use a belt sander (which is quite an added expense when setting up) or you can use a barrel trimmer. 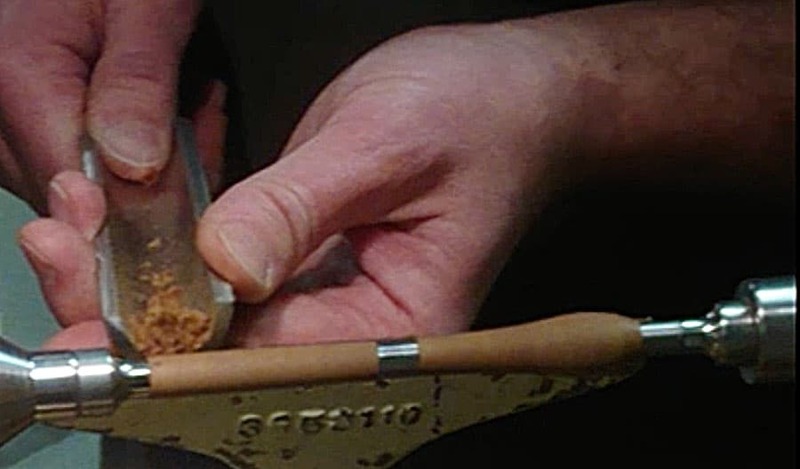 A barrel trimmer is a drill attachment and trims away a circular section of the end of the pen blank so that it will sit flush with the bushings on the lathe. It has a cutting edge and a locating shaft that goes inside the brass ferrule. 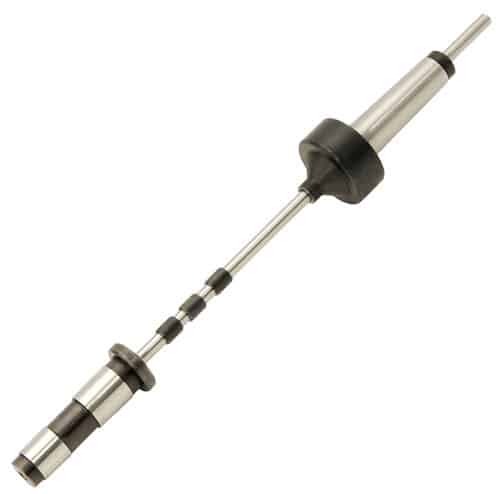 The example above is part of a Kit with a variety of locating shafts of different diameters – as pen kit ferrules vary in size. 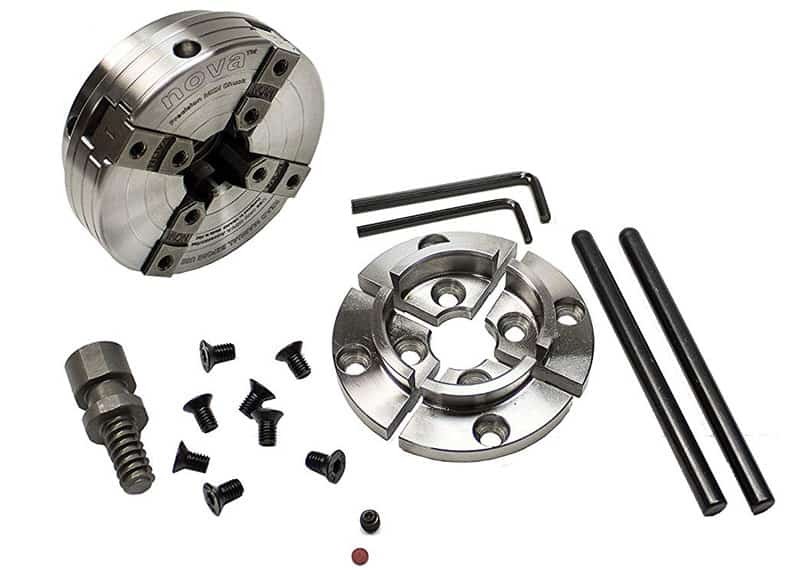 Here is the link to purchase the barrel trimmer kit which comes with Cleaner Kit with 3/4 inch cutting head, 7mm, 8mm, 3/8 inch, 10mm pilot cutter shafts, 0 Size adaptor sleeve and hex key wrench. To get the best results from any woodturning project the chisels have to be sharp. Because of the shape and critical angles of ther blades in a set I would advise you to get the best sharpening system you can afford. 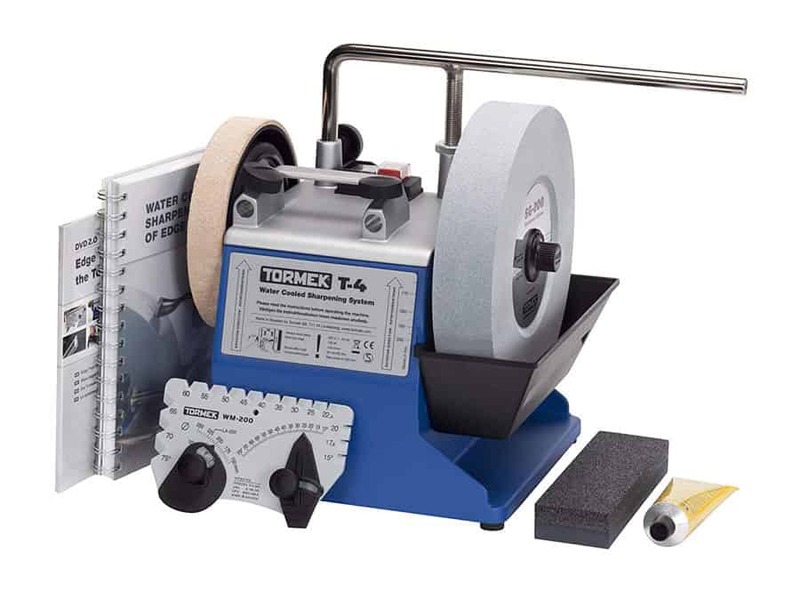 The best in my view is the Tormek Water Cooled Tool Sharpening System with an 8-Inch Stone. 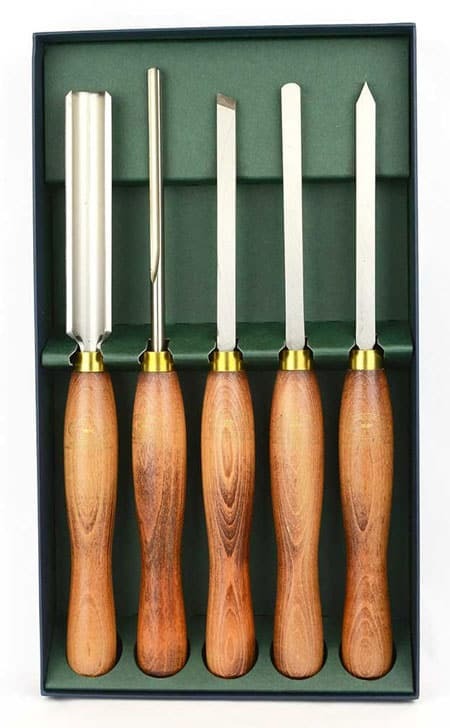 This is ideal for sharpening your chisels (and any other tool that requires sharpening. Tourmek offer a range of jigs for specific blades (such as the curved roughing gouge chisel) so you can get accurate razor sharpness. The Tormek system is not cheap and you may wish to use a different brand to keep the cost down . However it is the best I have experienced for maintaining tools perfect for pen turning. The metal rail takes the various jigs you can purchase separately and there is a water tray to the side which keeps the stone when and the chisel from being overheated and permanently damaged. 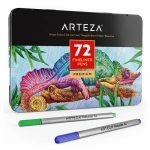 Most pen kits are press fit. in other words pressure has to be aspplied to make the componet parts of the pen kit fit into the ferrule of the turned section. This can be done with a larger vice. 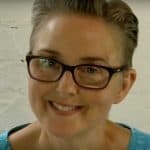 However it is well worth the cost and effort to buy a tool designed exactly to do the job and prevent damage to the work. I have found this out to my dismay when first starting to assemble pens. Having spent time to perfect several pens I completely ruined each pen using a hand vice. After I bough a pen assembly kit it took any risk away and the pens were pressed into place perfectly. 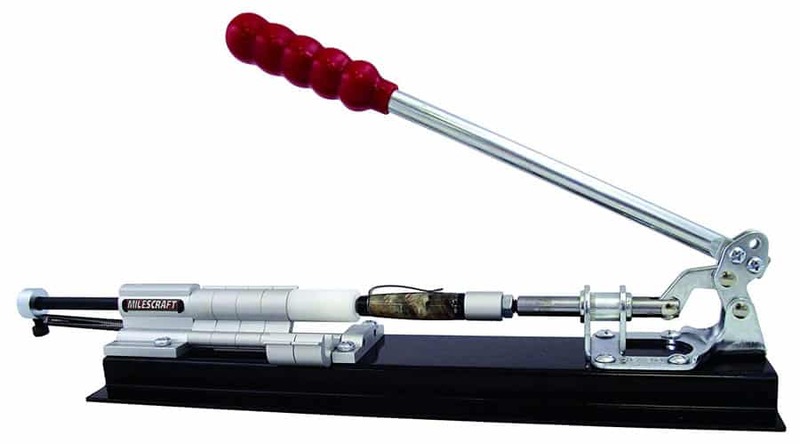 This pen assembly press by Milescraft is designed to do exactly that and has a very high customer rating. What else will I need to start pen turning?